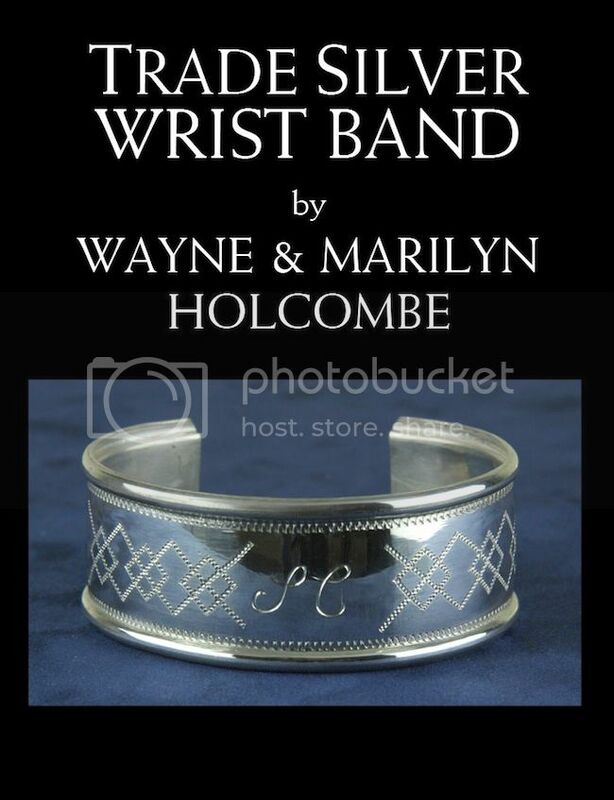 Before the husband and wife team learned the silversmithing trade and launched their business, Wayne worked with master gunmaker and wood carver John Bivins in Raleigh, North Carolina during the ’90s. Together they did museum restoration and carved colonial period high-art wood installations for museums and private clients. After returning to Michigan, Marilyn and Wayne began their research and schooling in the art of silversmithing and both attribute Chuck Leonard as their inspiration to become silversmiths. 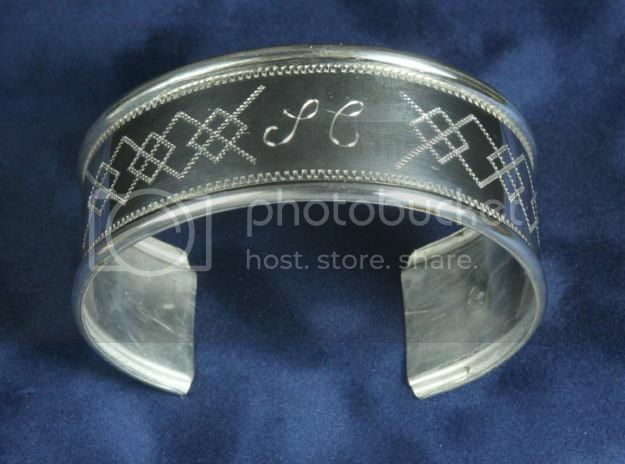 The silver wrist band is an interpretation from one that came from a site in East Tennessee. It has the same type of markings found on the trade silver “shells or “moons” and has the words “South Carolina” engraved on it which could be possibly an item from a South Carolina treaty with the Creeks and Cherokees. It would make a nice companion piece to the “South Carolina” trade silver “Shell” made by the Wayne and Marilyn and also offered in the auction.